The other day I went for a ride with my friend. As we were leaving the street, my friend came out into a busy highway hugging very closely to the entrance to our subdivision. I noticed that if another car was coming into our street and also decided to cut a close turn, there would be little margin of error for either the rider or the car driver. When you are riding your bicycle, I recommend that you keep your turns wide so that you can take evasive action in the unfortunate instance where you are in a position of peril. Try and make eye contact with car drivers and give them a nod and get a nod back so that you make absolutely certain that you are seen. This will greatly decrease you chances of a catastrophe. 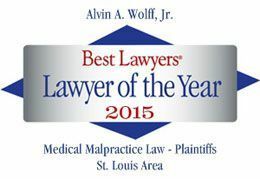 This year our St. Louis Personal Injury Lawyers handled bicycle wrecks involving a broken hand, a fractured leg, a vebral fracture and a closed head injury. All separate occurrences! A lot of people driving cars are not paying attention. Always leave yourself an out in case you encounter one of these inattentive drivers. Don't turn a recreational ride into a disaster.